LÖVE M.E.S.S. : Now i know why Q*Bert says @!#?@! Notice how Q*Bert is drawn in June 1983 ?? Good Grief!! (like Charlie Brown would say), looks like Q*Bert has swallowed a huge sour gumball and that he's on a few Redbull booster drinks! What the heck happened ?!?! 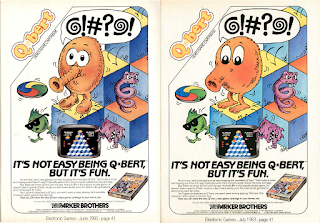 All i can say is thanks the Video Games Gods that the June 1983 version of Q*Bert was never officially adopted!! So now you know the story behind the "@!#?@!" 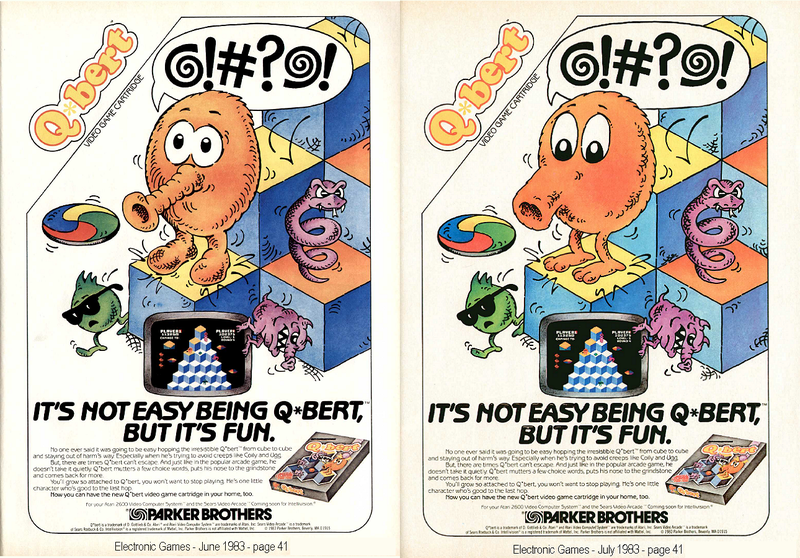 to why Q*Bert says this....heck! I would too say @!#?@! if i looked like that (the June 83 look).